The Master Blaster, Sachin Tendulkar, has a dubious record of scoring the highest number of hundreds as well as nineties in one-day cricket. He has been dismissed as many as 18 times in his 453 match career batting in the 90s. From the period of June 2007 – March 2008, it seemed that it would take him an eternity to get another one-day hundred, as the last time he did was in January 2007 against West Indies in Vadodara. During that period, he hit two consecutive 90s against South Africa in Ireland with his 99 in the first game ending in a losing cause while his 93 in the next game saw India win to square the series. The following ODI series was against England and he was again dismissed at the agonizing 99 at Bristol, which was a controversial lbw decision while in another match at the Oval, he was out for 94. But in both the games India won so Sachin would not have bothered much about it. Two more 90s came against Pakistan in November 2007, with his third 99 of the year coming in Mohali when he was given out after trying to steer a ball to third man and instead nicked it to the keeper, giving Umar Gul and his team a prized wicket. 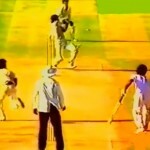 Tendulkar was criticized for the shot as India went to lose the game. His son always told him that when in the nervous nineties, hit a four or a six to reach a milestone, but he did not take his advice in those days. The last of the period was in Australia in the second CB series final against the hosts where hit a 91 following his much awaited ODI ton in the first final. India won that match too and the series there. Otherwise, some of his other 90s also have been against Sri Lanka and Pakistan with the most famous one being the blistering 98 at Centurion in the knock out group game of the World Cup 2003. He scored a 96 against the Lankans in the same tournament. There were way better batsmen than him in his era in one-day cricket, but who knows how much more threatening he could have become had he converted 9 of his innings into more centuries. The Zimbabwean appeared in as many as 221 ODI matches and scored 6571 runs, averaging 33.52 and his highest being an unbeaten 142 against Bangladesh at Bulawayo in 2001. By the time he quit the game, he had only 6 ODI hundreds, perhaps too low for a player of his talent since he could bat anywhere in the batting order since Zimbabwe were not content with the batting they had and wanted to tinker with the combinations. His 90s rut was the most against the teams such as South Africa, Pakistan, West Indies and England with two 90s throughout his career against each of them and the 94 vs. Australia in Adelaide in January 2004 was his last. In 2001, he scored three of those nineties, which was amongst the highest by any batsman in the world in the calendar year. Astle definitely ranks in the top 5 of New Zealand’s best ODI batters of all time. He had been a prolific run getter for his nation in his 12 year old career, and apart from holding the world record of the fastest double hundred in Test cricket, he shares the ODI record with Grant Flower and Sri Lanka’s Aravinda De Silva for being the second best batsman to be dismissed in the 90s. He has had 16 ODI hundreds to his name, but that number could have been 25 easily. 2 of them were achieved against India, Sri Lanka and West Indies respectively while the other 3 were against England, South Africa and Australia. His last score was 90 against the Windies at Wellington in February 2006. Batting at No.4 usually or anywhere else in the middle order, de Silva had to measure his success differently, seeing the number of fifties he had scored rather than hundreds and focusing in finishing matches rather than building a platform for a Sri Lankan victory. So when it comes to getting out in the 90s, de Silva had to take risks or was either unfortunate not to have scored a ton. There were nine such instances that he had to suffer from in his career which span from 1984 to 2003. Three of those nineties were against Pakistan, followed by two each vs. Zimbabwe and Australia, with his last being the 92 against the world champions in the World Cup 2003 and one each against India and Bangladesh. He is the third highest run getter in ODI cricket. Having being a veteran of 319 matches with 17 hundreds in them, it was expected to an extent that his name would appear in this list since there would have been many opportunities where he missed out on scoring more centuries. The South African has played for 16 years in this format, and he has missed out on 8 potential hundreds. Four of those have incidentally come against India and two of them aided South Africa in winning those matches and Kallis did not bother about not scoring the hundred, being the team man he is. While he has one score in the nineties against minnows Zimbabwe and Kenya each and the remaining two were against New Zealand in 2000 and West Indies in 2004. The disgraced ex-Indian captain was a revelation when it came to batting in the ODI format, and by the time he was banned from international cricket in the mid-2000 period, he had 9378 runs in 334 matches at an average of 36.92, scoring only seven hundreds. The stylish batsman from Hyderabad could have had seven more to his name. Against Australia, he has scored two knocks in the 90s. One was a 93 in the World Cup 1992 in Brisbane in which India lost by a narrow 1 run margin and 94 in Mohali in 1996, but this time India won by 5 runs. Two more came against the Lankans, the first being in 1995 in the Asia Cup final in Sharjah which was a match-winning knock while the second one was also in Sharjah but in 1998 and resulted in another Indian win. The rest were against Pakistan in Melbourne in 1985, England in Gwalior in 1993 and South Africa in Kolkata in 1993 with all the three innings being instrumental in Indian victories. The former New Zealand skipper was also a fine batsman in ODI cricket, having praiseworthy statistics to his name. 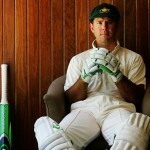 He scored 4704 runs in 143 matches at an average of 38.55, mainly being a middle order batsman. However, he only had 4 centuries to his name and the tally could have reached double figures had it not been for getting out or remaining not out six times on aggregate. Two of those 90s were against England in 1983 and 1986 in England, and back to back 91s were hit against Australia in 1993 during the one day series at home. The other two came in the year 1992, one of them being against Pakistan in the World Cup semifinal where hit an 83-ball 91, which was overshadowed by the young Inzamam ul Haq’s 37-ball 60 which knocked his team out of the tournament despite being the hosts and one of the favourites. And the other one was against Zimbabwe at Harare where New Zealand won by 4 wickets. The feisty and outspoken Aussie also is a part of the rare breed of players to have accomplished this feat. There have been six such cases where his score has remained in the 90s in a one-day game and it is understandable, considering that he batted at No.3 more often not and Australia had a strong batting line-up for the majority of his career from 1984 to 1994. All the 90s came against different oppositions. He was unbeaten on 99 against Sri Lanka at Adelaide in 1985, a 98 against South Africa in Brisbane in 1994, a 93 not out against West Indies at Sydney in 1989. Then there was another 93 vs. archrivals England at Melbourne in 1987, 92 vs. New Zealand at Perth in 1988 and a 90 against India at Brisbane in World Cup 1992 which was the same game that Azharuddin scored a 93 as well. 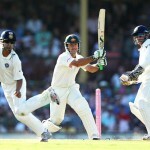 The Australian captain is the second batsman from his country to have this record and he is a surprise addition. Despite averaging an impressive 45.35 in 206 one-day internationals with over 6000 runs, he has scored a mere six tons usually having to bat at No.4 or No.5. The best one-day score of his in the 90s was his 92 off just 75 balls against South Africa in a group match at Basseterre in the World Cup 2007, which gave Australia a crucial win. In the same stage, he scored 93 not out against minnows Holland at the same ground too. Another 93 came in the World Cup 2011, and Kenya were the victims this time, in Bangalore. He was also unbeaten on 99 unfortunately against England at The Oval in 2010 but it was good enough to give Australia a 78 run win. A 98 came against Trans-Tasman rivals New Zealand in Melbourne in the Chappell Hadlee Trophy 2009 while he scored a 97 against Pakistan in Hobart in the 2005 tri-series at home. Being the shadow of Vivian Richards for the majority of his career, Richie Richardson could not display his true batting potential most of the times. But when he did, it benefitted the team so much that West Indies could never be underestimated even if they were not at their peak, especially when he was captain of the team. He scored 6248 runs in 222 ODIs, averaging 33.41 with 5 hundreds. But he scored more 90s than hundreds. 3 of them came against Australia, 2 being in the 1991 one-day series at home and the other in the World Cup 1996 match at Jaipur which the Windies went on to win. There were 2 more 90s in the year 1985 which came against Pakistan while another 93 came in the World Cup 1987 against England incidentally at Jaipur, however this time West Indies had lost. There are other great batsmen such as Adam Gilchrist and Ricky Ponting of Australia, Sourav Ganguly of India and Sanath Jayasuriya of Sri Lanka who have also had 6 scores in the 90s throughout their ODI careers as barring Gilchrist, all the players have scored above 10000 players and played above 300 matches. But they are not discussed about in this list due to the fact that they have played a greater amount of matches than the others who have scored 6 90s and are in the list.